For the past few weeks, every time I passed by the Near North Target on Elston, I noticed signs for a soon-to-be dog park off of Logan Blvd. and Western Ave. It was exciting to know that a dog park could be opening so near to where I live. While there’s a park right down the street from my apartment, it’s not solely for dogs and you have to be careful when there are kids around. So I did a little research and found that the Logan Square Dog Park is in the works. 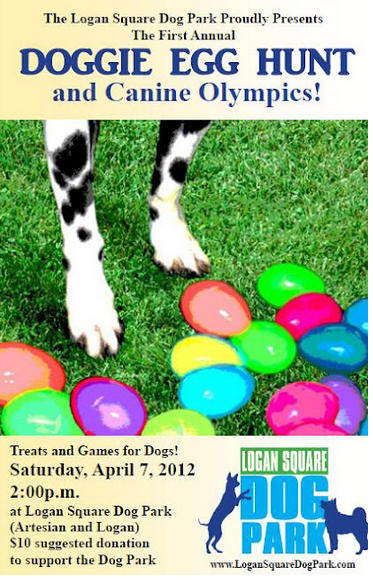 In fact, they’re hosting a Doggie Easter Egg Hunt this Saturday and I’m sure Frasier and Paige would love it. Find more info on the Logan Square Dog Park here.